Malibu Coast Receives AVA Status 52 winegrowers became classified as part of the official Malibu Coast American Viticultural Area in July. 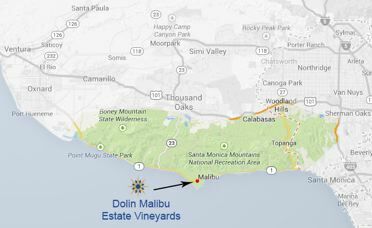 Elliott Dolin, proprietor of Dolin Malibu Estate Vineyards, helped to initiate the 3-year process. Few people are aware that the wine grape growing history in the Malibu area goes back two centuries. The region is about 46 miles long and 8 miles wide, composed mainly of the Santa Monica Mountains with 198 acres of vines in production. Elevations range from sea level to 3,111 feet a top Sandstone Peak. The coastal, Mediterranean climate heavily influences the region, offering a large diurnal shift from day to night, with warm, dry summers and cool, moist winters. The most widely planted varieties are Cabernet Sauvignon, Syrah, Merlot and Chardonnay with a smattering of Pinot Noir. The Malibu Coast AVA is also home to two previously established AVAs, Saddle Rock Malibu and Malibu-Newton Canyon. WineGlass for iOS Uses iPhone to Rate Wines on Wine List WineGlass is an app that allows you to take a photo of the wine menu with the iPhone camera and WineGlass then scans the wine list, pulls up the individual wines using the Cellar Tracker database containing over 4 million tasting notes, and reveals wine reviews, tasting notes, food pairings, and expected price. The app was developed by Facebook veteran Roddy Lindsay and works on most wine menus. 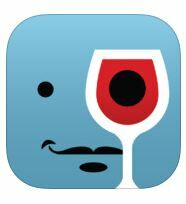 WineGlass for iOS is available for $4.99 from www.itunes.apple.com. Chehalem Mountain Winegrowers Origin ’14 A food and wine event set in the vineyard at Arbor Brook Vineyards, Saturday, August 9, 2014, 4:30 to 8:00 PM. This is a chance to meet the characters behind the 27 participating wineries, walk among vines and vineyard blocks, and feast on food from Bamboo Sushi, The Bent Brick, Cha Cha Cha, The Painted Lady and Subterra. $60 per person. For tickets, visit www.chehalemmountains.org. Shipping Wine in Summertime is a Challenge This time of year it is so warm in parts of the country, such as Orange County, California, where I live, it is impractical to ship wine unless it is transported by refrigerated carrier (FedEx and UPS offer this in California) or shipped overnight (not always a guarantee that the wine will be delivered the following day). If wine is exposed to heat, it undergoes rapid oxidation and spoilage. I have met with several damaged bottles already this summer. ACH Foam Technologies’ WineLoc® is a shipping method that guarantees a shipment is protected at or below 80ºF for 72 hours (this concerns me as 80ºF is pretty hot for wine, particularly if it remains at this temperature for 2 to 3 days. The company’s summer wine shippers keep the wine inside at a constant stable temperature for approximately 72 hours. 2-, 6-, and 12-pack EPS foam units are contained within an outer corrugated box and use specially designed pockets that hold frozen gel refrigerants that allow internal airflow while protect the wine labels from damage during transit. The shipping containers are the first EPS packaging made of 60% or more recycled content. I have not received a wine shipment using this technology. Visit summerwhieshipper@achfoam.com. 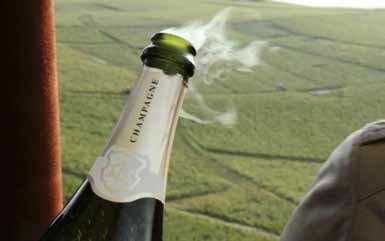 New Documentary ‘A Year in Champagne’ The second move in the series (the first was ‘A Year in Burgundy,’) has been acquired by Samuel Goldwyn Films, the distributor that turned the film ‘SOMM’ into a sensation. Writer and director David Kennard’s followup movie boasts many revelations about Champagne. The star of both films is Martine Saunier, who acts as a guide, leading a rare glimpse behind the scenes into six Champagne houses including Gosset and Bollinger. The movie has already screened to audiences at the Santa Barbara and Palm Beach International Film Festivals and the documentary is scheduled for an early spring 2015 release. Plot to Poison the World’s Greatest Wine Revealed in New Book Journalist Maximillan Potter wrote this book in cooperation with Domaine Romanee-Conti’s owner Aubert de Villaine. It details the failed attempt to ransom the DRC estate by poisoning its vines. 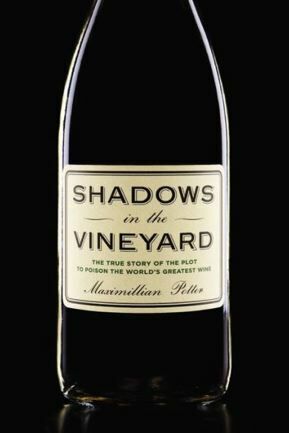 Titled, Shadows in the Vineyard: The True Story of a Plot to Poison the World’s Greatest Wine,” the book relates how Jacques Soltys poisoned two vines with herbicide in an attempt to extort money from the estate before he was caught in a police sting operation. Soltys committed suicide while awaiting trial. Potter also delves into the history of the domaine, the history of wine fraud, and property ownership in Burgundy. 2014 Wine Blog Awards I was one of the judges, that along with the public, votes on the annual Wine Blog Awards. The winners were awarded at the recent Wine Bloggers Conference in Santa Barbara County. Highlights: Best Industry/Business Wine Blog - Tom Wark’s Fermentation: The Daily Wine Blog; Best Wine Reviews on a Wine Blog - Wine School of Philadelphia; Best Winery Blog - The Lynmar Life; Best Writing on a Wine Blog: HoseMaster of Wine; Best New Wine Blog - Girl and the Grape; and Best Overall Wine Blog - Jamie Goode’s Wine Blog. An Analysis of Wine Critic Consensus The Journal of Wine Economics, published by the American Association of Wine Economists (AAWE), recently released AAWE Working Paper No. 160: “An Analysis of Wine Critic Consensus: A Study of Washington and California Wines” (Eric T. Stuen, Jon R. Miller and Robert W. Stone). The research looked at the degree of consensus in quality ratings among prominent wine publications including Wine Spectator, Wine Enthusiast, Wine Advocate, and International Wine Cellar. The authors found ample critical consensus between the four publications. Consensus was not found to be related to the blinding policies (or lack thereof) of the critical publications. The findings, which involved matched ratings of 401 wines, showed that quality ratings have a substantial degree of objectivity to them.